Historically, in the mid-Northern latitudes, the bright Full Moon of autumn allowed farmers to have extra time in their fields to gather their harvest. A Full Moon that occurred too early in September was sometimes called the Green Corn Moon to distinguish it from the later Moon when the plants were ready for harvesting. When the harvest season was over, many rural people turned to hunting to store up food for winter. 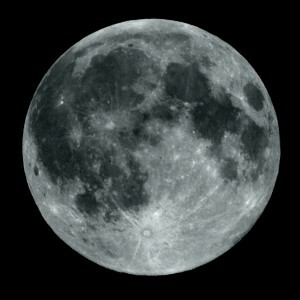 The Full Moon that follows the Harvest Moon is the Hunter’s Moon. Most years September hosts the Harvest Moon, October has the Hunter’s Moon, and November holds the Beaver Moon. But if the Full Moon is early in September and named the Green Corn Moon, the Full Moon of October then becomes the Harvest Moon and the Moon of November is the Hunter’s Moon. In 2020, the Harvest Moon and Hunter’s Moon will both be in October. When the Full Moon occurs on October 1, 2020, it will be the Harvest Moon. On October 31, 2020, another Full Moon within this month will then be called the Hunter’s Moon and also a Blue Moon, being the second Full Moon in a calendar month. This means that October 2020 will play host to the Harvest Moon, Hunter’s Moon, and Blue Moon. How would I find out what constellations were visible on the night of October 12, 1986 in Albuquerque, NM? Go to this website: http://www.wunderground.com/sky/index.asp and enter your zip code and the date you want. (The year doesn’t matter because if it’s just constellations you’re interested in, they are the same every year.) Basically it will show you the fall constellations. You can google Fall Constellations to learn more about them. Y’all need to adjust your “Astronomy Today” description of our natural satellite, the Moon. There were a total of 9 Apollo missions to the Moon, of which 6 were actual landings – Apollo 8 and 10 were for orbit and practice landing, 11, 12, 14, 15, 16 and 17 were landings, and Apollo 13, which had to perform a quick return to earth due to an explosion in the Service Module on the way out. Apollo 17 was the last mission in 1972 – not Apollo 18 , as stated in the article. Apollo 18 was cancelled in 1970. Thanks, Ron; well-spotted. I’ve made the change.